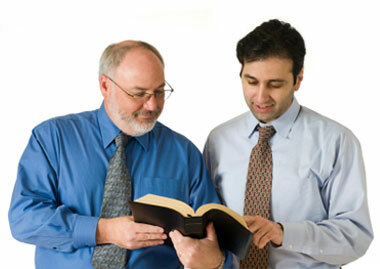 In addition to one-on-one discipleship counseling, Exchanged Life Ministries offers various training opportunities. 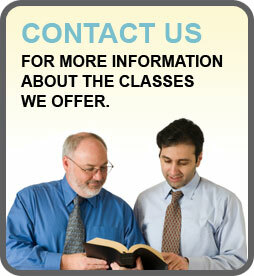 Most of our training is held at the Exchanged Life Ministries facility. We would be pleased however to tailor a conference which meets the goals and time requirements of your group. Our staff is available to conduct conferences or workshops at your place of worship. Staff members are also available to conduct post-counseling men's and women's groups, Bible studies, topical talks, and retreats. To inquire, email office@exchangedlife.net or call 281-554-9997. * What do I do if my Christian life does not seem to be working? * Where is this abundant life promised to me in the Bible? * How do I love myself and others, especially those who seem impossible to love? * Why do I sometimes feel inferior and insecure? * How do I overcome bad habits and persistent sins in my life? * How do past patterns of rejection influence the way I try to meet my needs today? * How do I experience the peace and joy of Christ in the midst of suffering? The Breakthrough Conference is a multimedia presentation of Exchanged Life truths. It is the foundational piece, laying the groundwork, during which one learns why his life just isn't working and what God has provided as a solution. It is a prerequisite for any further teaching/training opportunities with ELM SE TX. Beginning in January of each year, Grace Life Institute is a 17-week course designed for your own spiritual growth. The class meets once a week for a three-hour session. During this time there will be lecture, media presentations, and class discussion and interaction, all designed to bring you to an understanding and personal experience of what it means to have Christ as your Life. Now registering for Grace Life 2013! This is a 14-week semester designed to equip you with skills in order to take what you have learned in the Grace Life Institute and share the Exchanged Life truths with others. The goal is for you to be able to communicate the Exchanged Life truths and principles in whatever setting you may want to use them. This class meets once a week for three hours in the fall.